Canadian officials say Haiti has abused the goodwill of international donors by failing to respect the results of an election they paid for. And Canada is warning the island nation not to expect help to continue if things don't change. When Prime Minister Justin Trudeau hosted his U.S. and Mexican counterparts in Ottawa in June, the three countries' foreign ministers found a topic they could all agree on, according to Canadian officials. Everyone has had it with Haiti. The earthquake that levelled much of capital city Port-au-Prince in 2010, killing at least 200,000 people, triggered the largest outpouring of Canadian private charity ever directed overseas: $221 million. Since the quake, Canada has sent about $1.2 billion to Haiti, the hemisphere's poorest country, including $11 million to help pay for its failed presidential election last October. Per capita, Canadians have given more to Haiti in recent years than any other country. 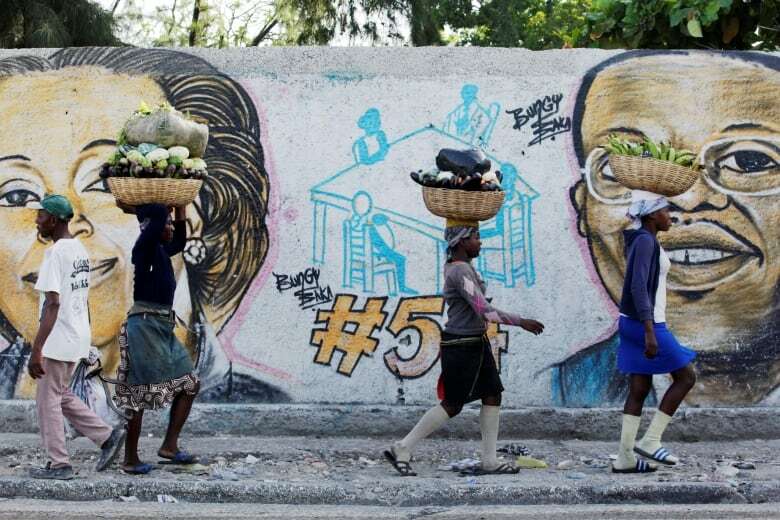 But donor fatigue may finally be setting in for Haiti's most loyal backer, and the corruption and dysfunction of Haiti's ruling elite is mostly to blame. From its place as the top recipient of Canadian aid in 2010, Haiti fell to 16th in 2015, with new favourite Ukraine getting more than five times as much. 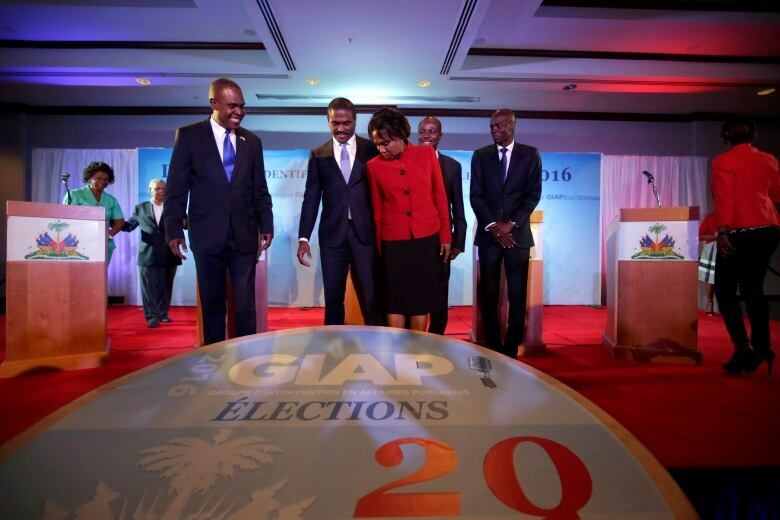 Next month Haiti will attempt to rerun last year's national election. The October vote failed to produce a winner after opposition parties claimed it was marred by widespread fraud, including hundreds of thousands of "zombie votes." Opposition mobs attacked polling stations, overwhelming Haitian police and forcing the cancellation of the second round of voting. But the foreign donors who paid for the election — and who dispatched 408 observers to watch it — said it was clean. 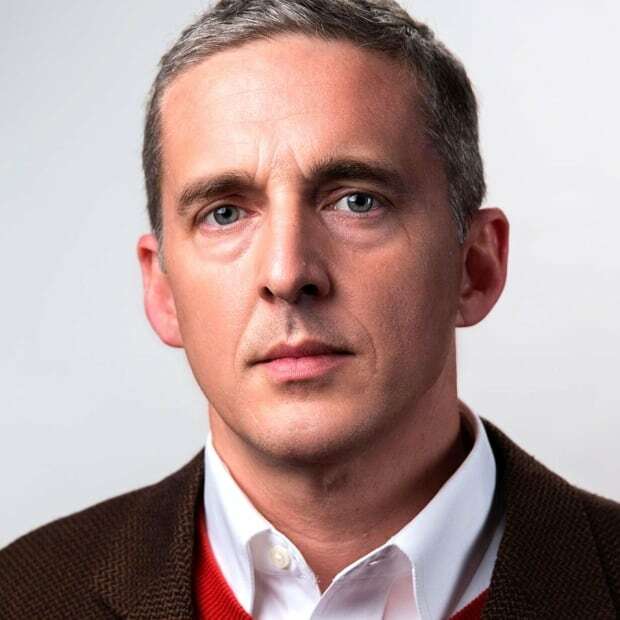 "They tossed out the results from a perfectly good election," says Jim Morrell, executive director of the Haiti Democracy Project in Washington D.C. His organization, which receives funding from USAID (the U.S. government's international aid agency) and from a prominent Haitian family supportive of the outgoing Martelly government, provided 208 of those 408 observers. The 200 observers from the European Union and from the Organization of American States, paid for mostly by the U.S., Canada and Brazil, agreed: the election was clean by Haitian standards and the results should have stood. However, faced with a fait accompli, the foreign donors reluctantly agreed to try again when Haiti promised a rerun in January. But two days before it was to take place, Haiti postponed it again, setting yet another date in April. By this point, Haiti was being ruled by an unelected interim president. When Haiti once again announced it was not ready to open the polls, donors' patience began to run out. "Canada deplores the fact that the elections, scheduled to take place on April 24, have been cancelled for the third time," said Canada's Foreign Minister StéphaneDion at the time. With the latest rerun just around the corner, on Oct. 9, it's not clear what has changed, except that Haiti will have a whole lot less Canadian assistance. Haiti went into last year's presidential election with a fund of about $100 million from foreign donors to pay for it. The U.S. and Canada provided about half of that money. It's also looking doubtful Canada will provide observers this time. "We are currently assessing our potential support for the OAS Electoral Observation Mission," says Jessica Seguin of Global Affairs Canada. "Canada urges Haitian political actors to assume their responsibility to the Haitian people by completing impartial, transparent and credible elections within the established timeline." It's a dramatic change from past elections, which Canada has always been there to scrutinize. In 2006, Canada's then-chief electoral officer, Jean-Pierre Kingsley, personally led a team of Canadian observers to Haiti. One of them, CheickhBangoura of Ottawa, was shot in the arm carrying out his duties in Port-au-Prince, but was back at his post observing the vote the next day. In private, senior government sources say Ottawa may yet relent and provide some token assistance, but with the clear message that Canada is fed up with Haiti's leaders playing political games on the donor's dime. "At the end we may make some small contribution," says a senior official with the Trudeau government. "But mainly because we don't want to spite ourselves," he added, pointing out that if Haiti descends further into chaos the fallout could end up costing Canada even more. A major factor in Canada's disillusionment with aid to Haiti has been the ruling elite's penchant for violence and venality. "It goes to the behaviour and opportunism of the political class," says Morrell. "Typically a president arrives in power with one idea, to hold power and aggrandize power. They don't really represent anyone but themselves." 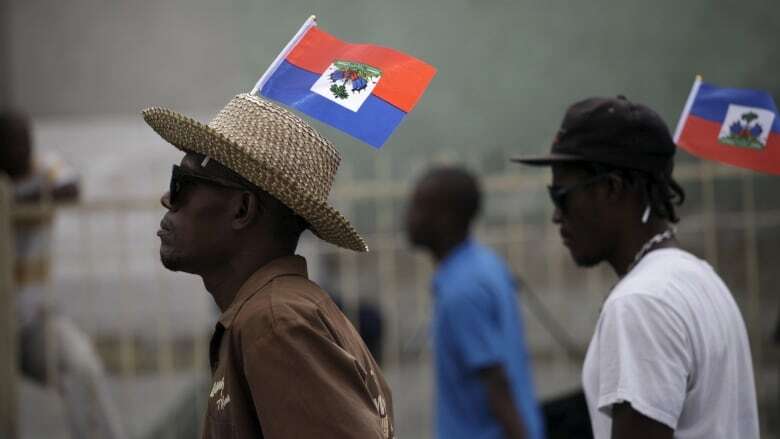 Political parties in Haiti are organized around personalities and patronage, rather than ideology, which former President Jean-BertrandAristide once described as being like a hat you can put on and take off. The Haitian government has criticized Canada for channeling its aid money through foreign NGOs, rather than through the Haitian government. One senior Canadian official says Canada has little choice, describing Haiti's system of government as a "kleptocracy." Morell admits that approach has failed to build capacity within the government. "But you have no choice, because otherwise the money will just go into the pockets of the people who are building the mansions. That's why we keep coming back to elections. That's why we've chosen to make our investment in building Haitian democracy. "Over time, if given real choices, Haitians would choose the more competent people from among them." Morrell says it's sad that Canada is pulling back from assisting Haiti, but also understandable. "They need some tough love," he says. This story has been updated from a previous version to provide more information about the Haiti Democracy Project, and to note the European Union also sent election observers in 2015.